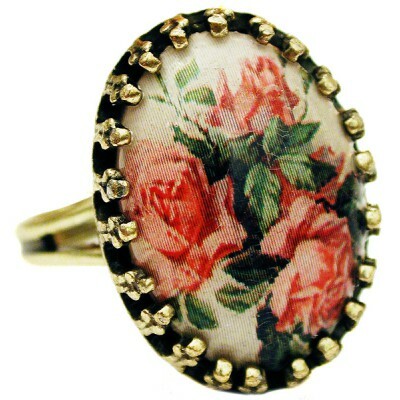 Michal Negrin ring with a Pink Roses cabochon cameo. Adjustable band. 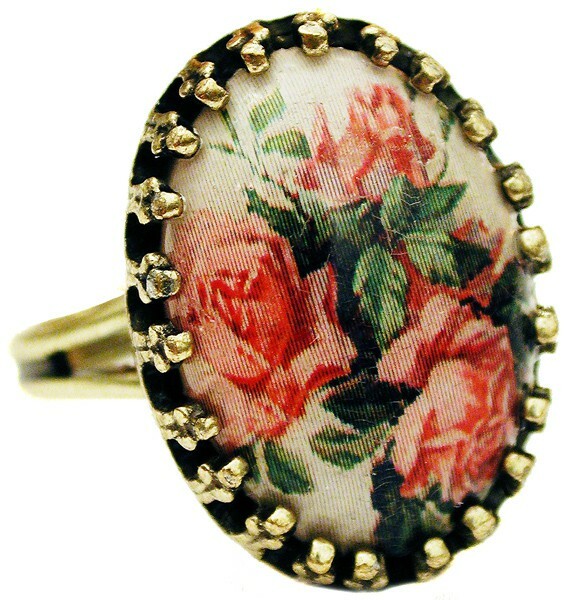 Measures 0.8 inch X 0.5 inch.